Refractory Cement CA50 series of products based on natural quality bauxite and limestone as raw materials, high-temperature calcination to a calcium aluminate (CA) and the second one calcium aluminate (CA2) main clinker phase, and then by grinding to optimum particle size distribution of the cement matrix. High early strength, setting hardening fast, one day strength up to 70% of the final strength. High heat of hydration, hydration heat concentration. Frost resistance, low ambient temperatures can also harden properly. Broad chemical resistance properties and biological attack, especially with a strong resistance to sulfate attack. Ideal for high temperature and thermal shock resistance, its refractoriness up to 1370 ℃. Ideal choice Castable Refractory aggregate prepared using a temperature up to 1500 ℃. Mainly applied to temperature below 1300 ℃ general industrial and civil boilers. 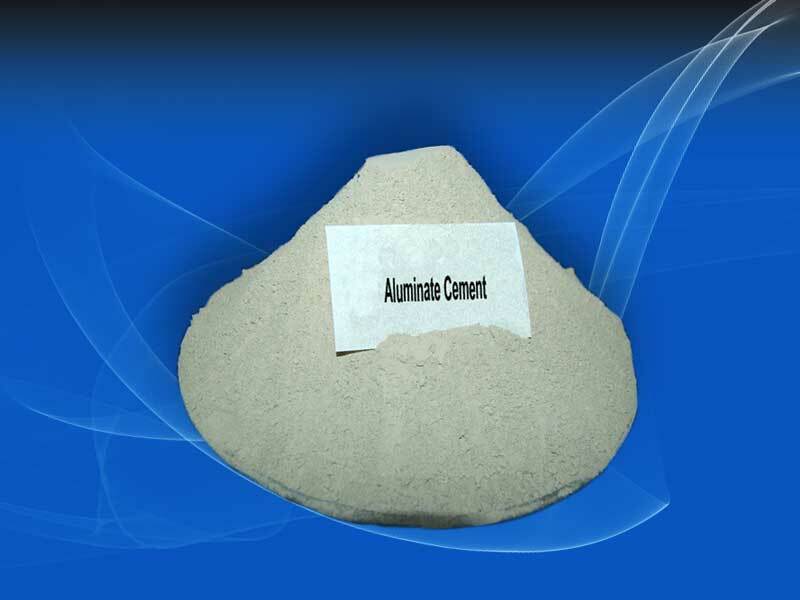 Widely used in alkaline castable, high alumina castable general preparation and slag ball production. Widely used in medium and low cement content castable preparation. Workability and high temperature performance better. Widely used in circulating fluidized bed boiler linings, dry cement kiln decomposing furnace, kiln door cover, kilns and furnaces, soaking furnace lining and so on. Especially suitable for winter construction, repair and other requirements quickly releasing the conservation of the occasion. Chemical building materials, water treatment and other industries and uses.